No minimum order required. Our fresh-baked quiches are a delight at breakfast or brunch (and even lunch!). 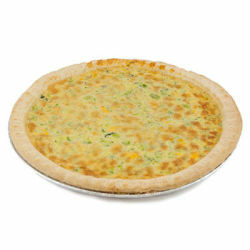 We craft them with cage-free eggs, cheeses and buttery, flaky crusts. All products are served cold. Some stores can accommodate heating preferences upon request, please contact a Whole Foods Catering Team Member to discuss.